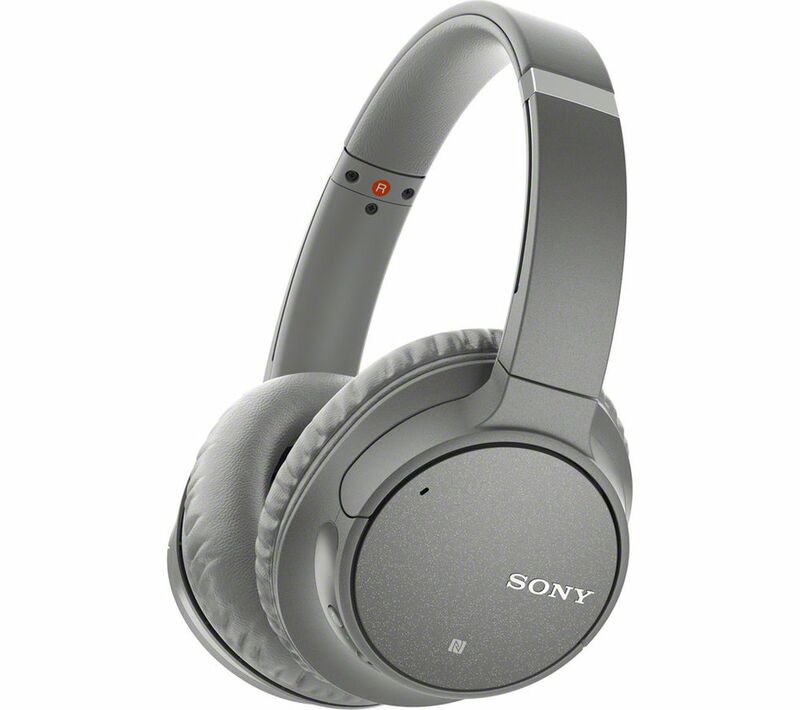 Listen to music without any wires getting in the way with the Sony WH-CH700N Wireless Bluetooth Noise-Cancelling Headphones. Just sync up your smartphone, tablet, or any other Bluetooth-enabled device and you'll be bopping away to your new favourite song in an instant. Bored of that song already? Skip tracks, turn up the volume, and more with a simple tap of the earcup, you don't even have to get your phone out of your pocket. And if you've got NFC connected devices syncing up is even easier, just tap your device against the headphones and start streaming. No wires, no fuss. The Sony WHCH700N's Digital Sound Enhancement Engine takes compressed music files and restores them so they sound more like they did the day they were recorded. So that's more detail and a clearer, richer sound. With lightweight dome drivers adding to the dynamic sound, you'll think you're right there in the studio with your favourite artist. Sometimes you want to sit back, listen to a playlist or a podcast and just block out the rest of the world. Whether you're on a plane, train, or in the office the WH CH700N Artificial Intelligence Noise-Cancelling analyses your surroundings and makes sure you only hear what you want to. Walk around with your own personal helper. The CH700N's come with Google Assistant to help you along your day. Find out what the weather's like, set a reminder for your mate's BBQ, and make hand's free phone calls - all with simple voice commands. The music never stops when you're listening to your Sony headphones. A massive battery life of up to 35 hours gives you well over a day's solid audio and you can keep it charged with a handy USB cable. If you do find you're out of juice, quick charge gives you an hour's worth of playback from just ten minutes of charging. They're easy to keep with you too, swivel-flat earcups mean they can easily be stored in a bag or jacket pocket.